The TURTLE BEACH Recon Chat works great with the Xbox One controller with the 3.5mm jack, PS4 Pro and PS4, as well as, PC, Mac and mobile/tablet devices with a 3.5mm connection. A simple plug-and-play setup for direct connection to your controller delivers high-quality chat audio. An adjustable, high-sensitivity mic picks-up your voice loud and clear. 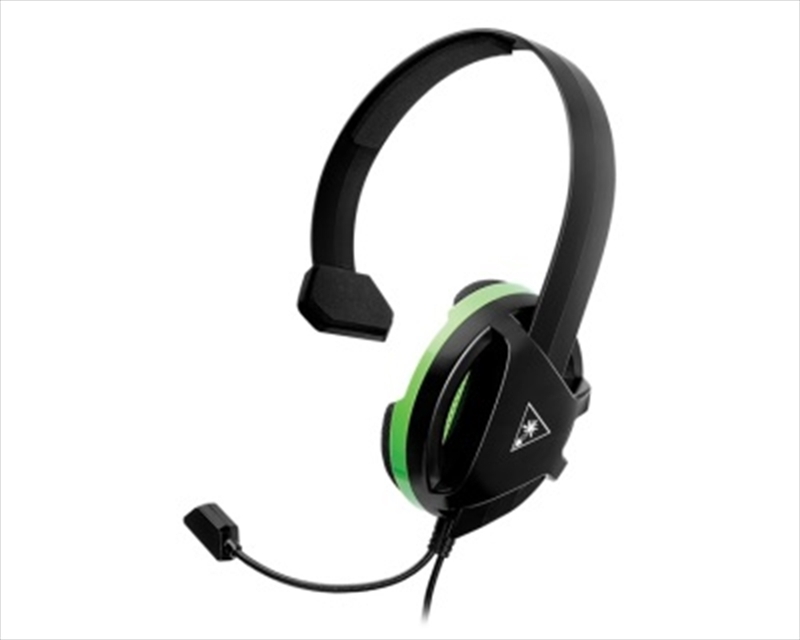 The over-ear design with an open ear-cup is designed for gamers that use a speaker system (TV sound, sound-bar, surround sound system) that need a headset only for chatting. Glasses-wearers rejoice! Slots in the ear-cup allow you to wear glasses and the Recon Chat for hours of online gaming. Wear the headset on the right or left ear, whichever is more convenient for you. The headset with a flexible microphone can be moved to accommodate left or right ear cup placement.